I've just seen on FB that Blackland will be coming out with a new SE razor. It does look the business and I wonder if there is any info on this one. I'm posting the picture, but as this is not in production yet I think it might be against the forum rules. If it is please remove it. Slim and sleek. I like it!! (07-31-2018, 02:14 PM)bakerbarber Wrote: Wow. I'm one of the lucky few that has shaved with it. The #1 problem with stainless steel or brass SE AC razors is the weight of the head. 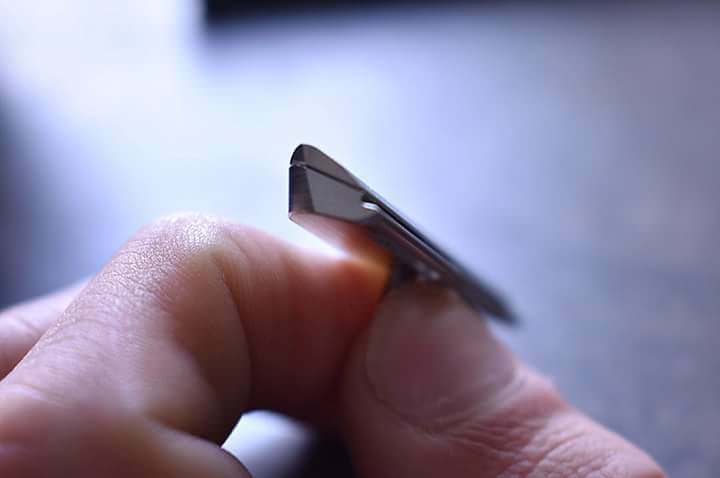 Top-heavy SE razors, without careful attention to pressure, can result in irritation. Although I've been able to get fantastic shaves with my brass general, mongoose II, and ATT SE1, I always pay close attention to pressure. I can assure you that this razor is as light as a feather with the durability many of us enjoy from stainless steel. The resulting shave? Shaving bliss. I had the closest, most comfortable, two-pass shave the other day. It's extremely nimble and fun to use. If you're a SE razor fan like I am, get excited. Get very excited. It's a good one, boys. I'll have more details as things progress. Now here's a thought from out of left field: How much slicker and sleeker it would be in Schick format - not to mention lighter.